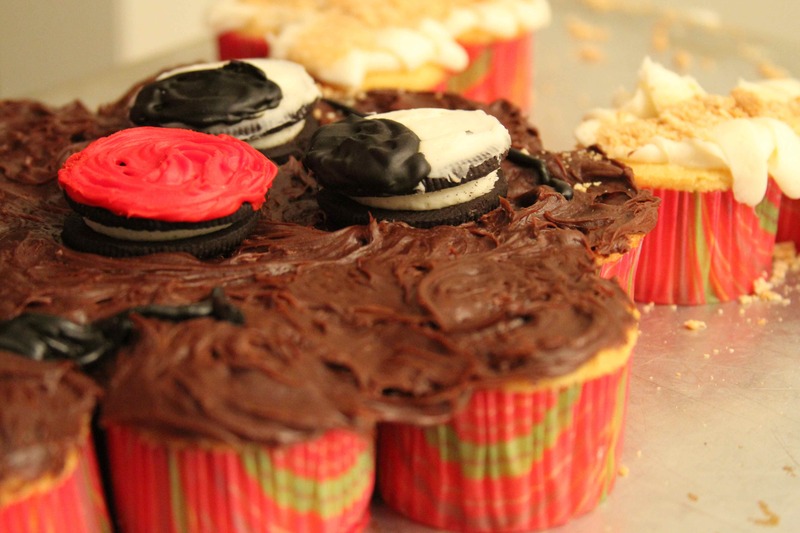 Breakaway cupcakes are all the rage these days, so here’s some Christmas-y ones for you. My cousin and one of my sisters made these, so I don’t have a recipe, but you don’t really need one. They used yellow cake mix for all the cupcakes, baking them in red and green paper liners. For the face, they spread on canned chocolate icing. And for the antlers, they piped on canned vanilla icing in wide zig-zag lines. 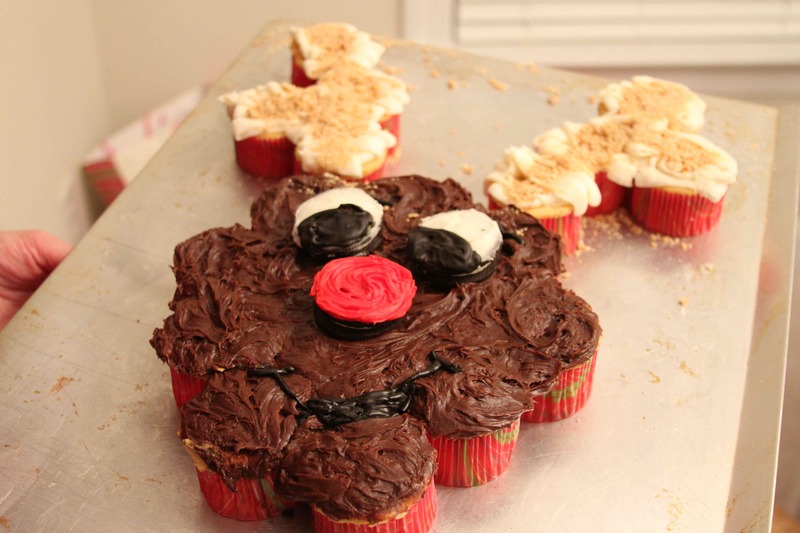 They added graham cracker crumbs on top of the antlers. For the facial features: the eyes are two Double-Stuf Oreos painted with chocolate and white icing. The nose is another Double-Stuf Oreo painted with red icing. The mouth is black gel icing. And that’s it! Super cute, and very festive!